As the saying goes in lending circles, the best time to borrow money is when you don’t need it – when things are going well. There is an element of truth to this adage. The same goes for business planning. The best time to prepare for a recession is when things are going well. This strategy allows you to act deliberately, instead of reacting to circumstances. It gives you the option to implement sustainable strategies to help ensure your business’s survival. Another reason to plan now is that recessions are difficult to predict. They seldom announce themselves in advance. You can only tell once you are in one – when it’s too late to do much. The first thing that happens when recessions hit (or are about to hit) is that companies start paying invoices more slowly. Conversely, they also start asking their clients to pay sooner. Ultimately, this scenario affects your cash availability. 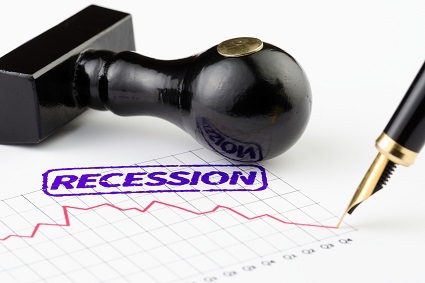 Without a good cash reserve, chances are you won’t survive a recession. It’s that simple. Keep in mind that profitability, cash flow, and cash reserves are entirely different things. Business owners often confuse them. You can have profitable businesses with awful cash flows and no cash reserves. The way to build a cash reserve is simple, but not easy. Save some money in a bank account or money market instruments until you have enough to feel comfortable. Consider building a reserve to cover at least three months’ worth of expenses. Six months is better, but that’s just my opinion. Building a cash reserve is the most important step that you can take. However, building a reserve has a downside. Money “parked” in a bank account is not working for you. You can’t use it to take on new clients, pay vendors, or cover salaries. The bottom line is that a large reserve can limit your ability to grow. This is a trade-off that you, as a business owner, need to manage. One way to build a cash reserve and grow your business is to get a revolving financing line. A business line of credit can work very well for this purpose. It allows you to build a reserve while still taking new orders. The trade-off is that the line has a cost, which reduces your profit. Use the line to pay for business expenses associated with orders. Pay the line back once your customers pay their invoices. This last step is critical. Don’t use the line for anything else. If you can’t qualify for a line of credit, consider other solutions such as factoring. Factoring allows you to finance slow-paying receivables. This solution improves your cash flow. Factoring is more expensive than bank financing, but it’s easier to get. Learn more about factoring and how it can help your business. As mentioned in the previous point, some of your clients may start taking longer to pay during a recession. Others may never pay because they went out of business. The impact of these developments on your cash flow and reserves can be significant. However, you can minimize – and perhaps prevent – some of these problems by managing your invoicing and collections more carefully. If you extend 30-day terms to clients, check their credit before offering terms. Offer terms only to clients that have decent credit. Look at commercial credit reports regularly (every three to six months) to ensure that your clients are still paying their other vendors on time. You can check credits at Ansonia, Dun and Bradstreet, and Cortera. Lastly, if you have not already done so, implement a system to track and collect overdue invoices. Obviously, this effort helps improve your cash flow. There is another purpose for having a good invoicing and collections system. One way to determine if your industry is heading for trouble is to see if a number of your clients change their payment habits. If many of them are paying slowly, it could be because they are preparing for lean times. Obviously, this is not a perfect indicator, but it helps. If possible, start paying suppliers on net-30 or longer terms. This approach helps you conserve cash. By the way, this also explains why your clients pay you in 30 to 60 days. Obviously, the best time to get payment terms is when things are going well for everyone. By the time a recession hits, you already have a precedent for paying them on net-30 terms. Few suppliers will dare make a change if you always pay on time, for fear of losing you as a client. This may not sound very nice, but it’s how business operates. Don’t buy something unless your business really needs it. That doesn’t mean you can’t splurge here and there. You can, as long as you do it in moderation and carefully. Look at your existing costs and eliminate unnecessary expenses. Leave no stone unturned. If possible, outsource non-essential business functions. In many cases, this strategy saves you money. And when recessions hit, outsourced resources are the easiest to trim. However, be very careful about outsourcing important strategic or operational functions. Those roles are usually best left in-house. What is outsourced will vary by business. Just keep whatever functions make your business special and competitive. Nothing kills a business sooner than a warehouse full of slow-moving inventory. That’s money sitting on the floor. Implement an inventory management and tracking system early on. This step can be complicated, but it’s usually worth the expense. That way, you can operate more effectively and avoid wasting money. Here’s a good resource to get you started. As a worst-case scenario, you can consider financing existing inventory to improve your cash flow. However, this expensive option should be used carefully. Every good business owner should keep track of their company’s financial statements. It’s just a good management practice – in good times and during downturns. One of the greatest mistakes that business owners make is to have their revenues concentrated in a few clients. This is a sure recipe for disaster. I speak from personal experience. You will surely get into trouble if one (or a few) of your clients leave, go out of business, or start paying slowly – the sort of things that happen during downturns. Fix this situation by diversifying your client base. This approach helps soften the blow of any business downturns and improves your chances of surviving a recession. If building a cash reserve is your most important priority, diversifying your client base should be your second most important priority. Diversifying while times are good allows you to try a number of sales strategies until you find the one that works best for you. Consider looking into government sales. Federal, state, and local agencies buy in good times and during recessions. And most agencies buy almost every imaginable product or service. The government marketplace is very competitive, but government agencies have programs to help small businesses. Here is more information on finding government contracts and becoming a government supplier. Similar to the previous point, diversify your marketing channels and client sources. Otherwise, you are at the mercy of a single source of clients. Like the previous problem, this one is very hard to fix. But you must fix it; otherwise, you will eventually get hit with problems. Here is a simple illustration. Imagine you get most of your clients by advertising on an industry website. What would happen to your business if that website went out of business? Chances are, you would follow suit very soon. There is no one way to solve this problem. However, diversifying your client acquisition channels should be very high on your priority list. Doing these things when times are good gives you the funds and time to experiment until you find the right channels.